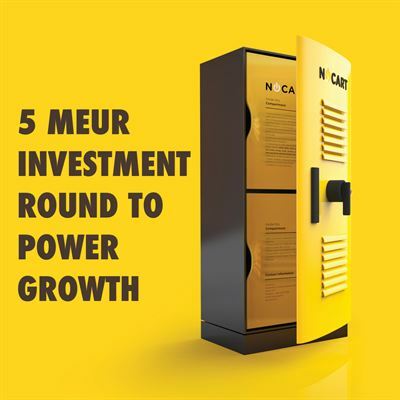 Cleantech Invest portfolio company Nocart Oy has signed a 5M€ investment round. Investors include Cleantech Invest SPV 5, and two Finnish family offices. The funding will be used to further accelerate growth of Nocart Oy. Nocart delivers distributed power plants combining solar, wind, bio and other energy sources, as well as energy storage for utility grade electricity production. The company has been growing fast and recently announced a large agreement for the delivery of power plants to Zambia. Cleantech Invest SPV 5 AB, a Swedish holding company founded by Cleantech Invest, has made an equity investment of EUR 1 million into Nocart as part of this investment round. Cleantech Invest owns 20% of the holding company. Cleantech Invest will also receive a fee of EUR 215 000 for the transaction. The effective ownership of Cleantech Invest in Nocart is 19.3% after this investment round. Cleantech Invest and all its affiliated companies own a total of 21,4% of Nocart after the transaction.